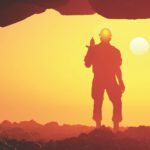 The latest Mining and Resources Job Index from DFP has revealed continued mining job growth in July, though annual growth is slowing. 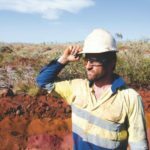 An increase of 0.8 per cent in advertised jobs in July meant that the mining industry has now enjoyed 14 consecutive months of growth. 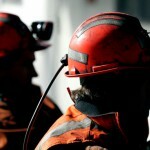 July figures for mining jobs showed a split between 60.8 per cent permanent positions and 39.2 per cent temporary and contract roles. The report’s findings suggest there is considerably more growth opportunities in permanent roles, while temporary and contract roles remain steady. However, the pace of annual growth is slowing somewhat. While annual growth over the past year has reached an impressive 27.7 per cent overall, it has slowed over the past six months to 8.9 per cent. When factoring only permanent jobs this changes to 34.4 per cent growth in the last year, slowing to 10.8 per cent in the past six months. By contrast, temporary and contract job opportunities fell slightly in July by 0.2 per cent. Temporary job demand was up 6 per cent over the past six months and 2.5 per cent over the past three months. 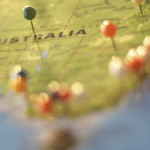 In terms of a breakdown of job availability by state, Western Australia had the most advertised jobs at 46.8 per cent, followed by Queensland at 28.1 per cent, New South Wales at 12.8 per cent, Victoria at 5 per cent, South Australia at 4.6 per cent, the Northern Territory at 2 per cent, and finally Tasmania and the ACT at 0.6 per cent and 0.2 per cent, respectively.